Blaming the early closure of some South African coal-fired electricity plants and subsequent job cuts on renewables is “misdirected” because generation from the fuel far outpaces clean-power supply, a former National Planning Commission member said. State-owned utility Eskom Holdings SOC Ltd., which burns coal for 90 percent of its electricity, has stalled on signing government-brokered deals to buy renewables from independents, saying it’s expensive and not always available. Coal truckers in March blocked roads around the capital with their vehicles after the producer said it won’t renew their contracts because of a coal and power surplus. A union has also threatened to strike over green energy that it blames for the planned closure of five Eskom coal facilities. The surplus has stemmed from weak demand and slow growth in Africa’s most-industrialized economy, the company said. Eskom plans to close some of its plants by the end of March 2020, resulting in as many as 20,000 job cuts, acting Chief Executive Officer Matshela Koko said March 1. The country’s energy plan assumes the process of closing the five facilities, which have collective capacity to generate about 8,300 megawatts, will only start in 2020 and end in 2029. Rather than blaming renewables, the National Union of Mineworkers “should be questioning Eskom’s decision to close 8 gigawatts of plant prematurely — that’s a big chunk of power,” Anton Eberhard, an ex-NPC member and professor at the University of Cape Town’s Graduate School of Business, said by email. Truckers are moving less coal because Eskom is producing less power than it did in 2007 and because more of the fuel is being transported by rail, he said. The NPC drew up the government’s blueprint for growing the economy, which recommends exploiting low-carbon energy. “It’s hard to believe that independent power producers are currently having any serious impact on coal trucking or jobs and again, one has to question who is behind these protests,” he said. Eberhard estimates that the plants Eskom plans to close ahead of schedule produced more than 50 terawatt-hours last year. Renewable energy generated less than 7 terawatt-hours in the same period, he said, citing the Council for Scientific and Industrial Research. The company will study the effects of the proposed closures before any action is undertaken, Khulu Phasiwe said March 31. The producer stepped up criticism of renewables last year, saying the electricity it’s compelled to buy through the program is expensive. Eskom is building about 9,600 megawatts of coal-fired capacity that’s over budget and years behind schedule. The latest independent power producer projects “are proving to be cheaper than any of Eskom’s new power stations and if we block IPPs, we will be compromising electricity prices and economic growth,” Eberhard said. The Department of Energy’s program has drawn 194 billion rand ($14.4 billion) of investment, and 2,200 megawatts have been connected to the national grid from 44 projects. Developers have been waiting for Eskom to sign offtake agreements on another 37 projects worth 58 billion rand that will generate 2,354 megawatts, according to the government. 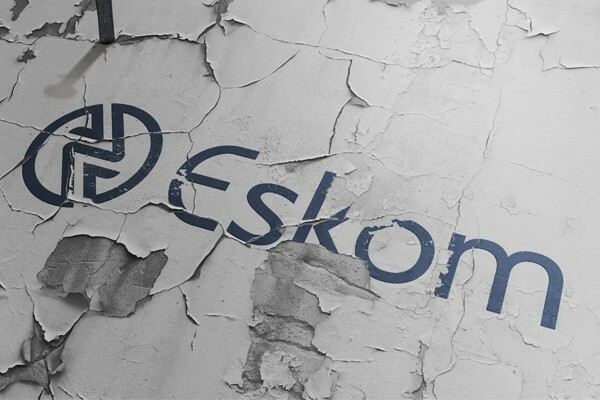 Eskom said in March it would sign the pacts after President Jacob Zuma ordered it to do so. Talks on the purchases are ongoing, Phasiwe said. While Eskom’s Koko has spoken with the mineworkers’ union about the planned closures, the labor organization hasn’t discussed the issue with the IPPs, NUM President Piet Matosa said. It’s up to the ruling African National Congress to change its policy regarding the program, he said.